For a Tour de France that has at times felt surprisingly familiar, there was one last thing to tick off. Since 2008, Andre Greipel has won at least one stage in every Grand Tour he’s entered. He left it late this year. Indeed, it wasn’t until the very moment that he completed the Tour de France that he achieved his goal. 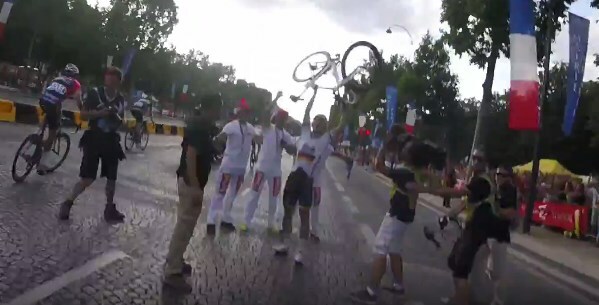 After winning, he held his bike in the air like the big testosterone-fuelled German sprinter he is. For all the talk of a new generation of sprinters, there was little sign of them in this year’s Tour. Indeed, most of the stage victors were familiar to us. Mark Cavendish dominated the sprints and Peter Sagan the points competition with victories for Marcel Kittel and Andre Greipel. If Michael Matthews’ win was his first in the race, he is nevertheless a fairly high profile rider whose qualities are known. Romain Bardet took another mountain stage, which was not really a surprise. Tom Dumoulin and Chris Froome each took a mountain stage and a time trial. Even the breakaway winners were predictable. Greg Van Avermaet has won classics and hilly stage races, Steven Cummings has established a way of operating that we all now recognise; Ilnur Zakarin is already perceived as being a future Grand Tour contender; and Thomas De Gendt – well, if there’s one thing that you can count on, it’s Thomas De Gendt getting into the break day after day with no real regard for his own wellbeing. So what does that leave us with? Jarlinson Pantano on stage 15 and Jon Izagirre on stage 20. I rather suspect that Izagirre will continue as he is – a dependable workhorse on a big team who snaffles occasional stages when circumstances permit – so he might retain a relatively low profile. Pantano, in contrast, seems likely to become a familiar name with hindsight (if you follow that). The way he rode in the final week, the big surprise would be if this were his only Tour stage win. I tend to think this familiar cast list is by and large a good thing. The Tour is, if anything, cycling’s greatest hits compilation. There were cameos from others (such as Julian Alaphilippe, Rafal Majka, Adam Yates and Dan Martin) and if you want more of these artists’ work, you can sample other races. As far as this website goes, I’ll probably do some sort of 2016 Tour de France retrospective piece at some point this week, but I haven’t given much thought to theme or subject matter yet. After 23 days of the Tour, I’m for some reason not yet desperate to churn out more articles. As far as the racing goes, there are a handful of major one-day races coming up, but in all honesty our next appointment will probably be the Vuelta a Espana for three weeks from August 20. I generally find it to be the most entertaining race to follow and as with the Tour, UK viewers can see Vuelta highlights on ITV4. 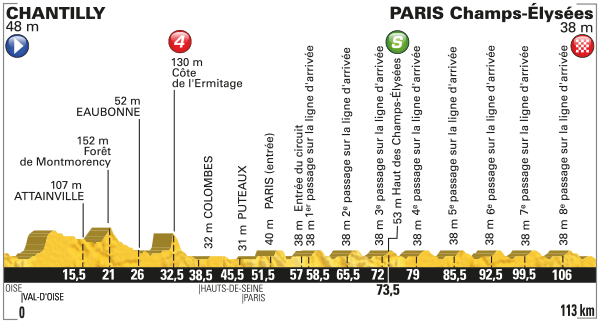 It’s worth a go if you’ve enjoyed this year’s Tour and don’t normally follow cycling too closely. On that subject, if you’re a regular reader (or fancy becoming one) please sign up for this website’s email so that you know when I emerge from recovery mode. I should probably state that explicitly. He didn’t fall off his bike while chugging a Leffe on the final stage or owt. I’ve recommended this blog to a few cyclist friends. It’s well-written, wry and has helped with the general ‘tourification’ of my summer so far. I can’t wait for the Vuelta and I’m definitely looking forward to reading your take on it, day-by-day. I’m sure there’s no reward for this, so thank you and please keep it going. Thanks very much, Andrew. That’s pretty much what I aim for. Always keen to find a few more readers as well. I’m terrible at making the effort to ‘reach out’ to people, so word of mouth/email is the main way the site finds its audience, so thanks for that too.